This guide shows you how to upload a file to the document library. The document library is where you can store and edit documents in Sfax after you have received them or prior to transmitting them. After you login select the Library option. 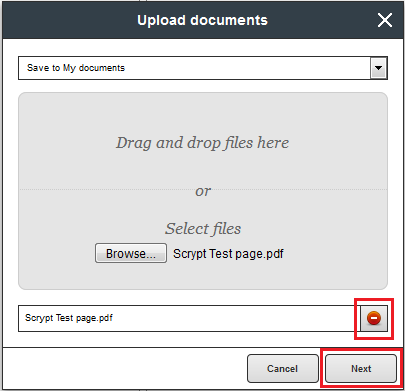 To add a document, choose “Upload Document”. 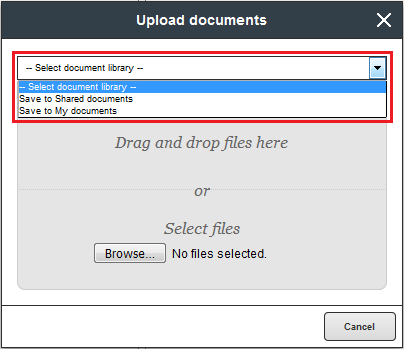 After selecting the “Upload documents” option a box will open that allows you to either browse to the file or drag and drop the files. You must select a document library to save your file into from the drop down box before you try and upload any files, or else the upload will fail. You can select to store the document under either “My Documents” or “Shared Documents”. My documents are for documents that only your user account will have access to and the Shared Documents will allow for all users on your account to access. If you select the “Browse” option you will be taken to a browser window to allow you to search for the document. 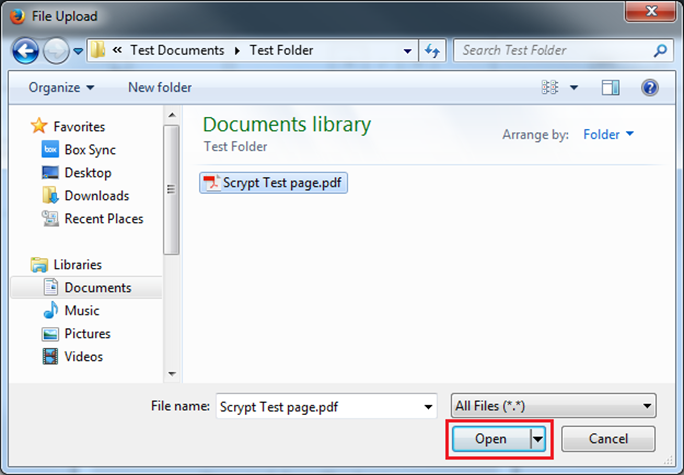 After you find the document you would like to add to the document library click on the image and select “Open”. After you have selected the document to add to the library you will see this listed on the “Upload Documents” box. If you have added the incorrect document you can select the icon listed next to the document to remove. If you would like to add another document you can follow the above process to add an additional document. If you are ready to continue select “Next”. 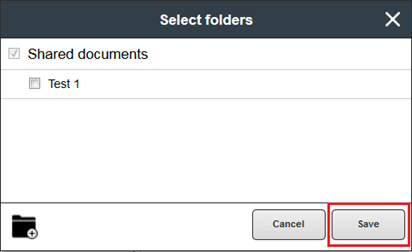 A box will appear that asks you to select the Folder that you wish the document to be saved, choose which folder your wish to save the file in by ticking the relevant box and to continue click “Save”. 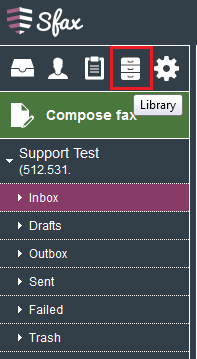 To add an additional folder you can select the add folder option from the bottom left corner. The document will now be rendered and will turn up in the relevant folder in the Library within a short period of time. After you have uploaded a document to the Library you will have the ability to select this document when preparing to send a fax. Just select the "Add from library" option and this will provide you a list of the documents you have available.